While we eat as locally and seasonally as possible, I am led astray by the occasional “find” in the seconds bin at a local grocery store that sells only organic produce. Other than a small dent, there was nothing wrong with the crisp and firm cucumber that I picked up the other day. I diced and salted it, and cooked it with minced scallion in a little olive oil. 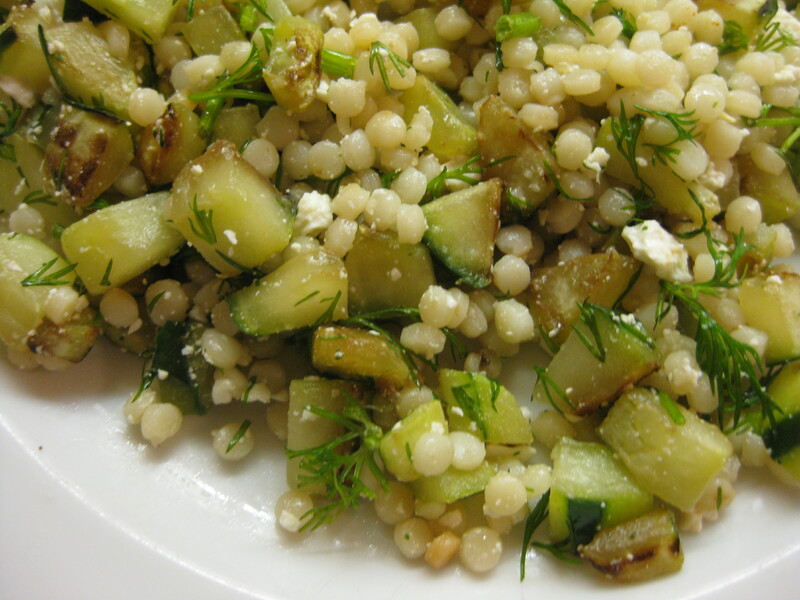 Added to those little pasta balls called Israeli couscous and tossed with feta cheese and dill, the cooked cucumber had just the right texture and flavor to pique our appetites in the dead of winter.